Two dine plus a bottle of wine for just £25. Choose from either a 10oz rump steak or salt and pepper tiger prawns or mix and match! Our lounge restaurant offers a wide choice of delicious meals. Treat yourself to a great British breakfast (not just for residents), or stop for lunch with friends, try something a bit different on Thursday nights from 6pm you can order Tapas dishes from around the world. All our meats come from local award winning butchers and our potatoes come from harehope farms Eglingham. 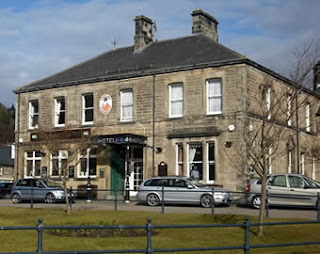 Visit the Newcastle House for a great evening out in a friendly atmosphere with good company. The Newcastle House is in the centre of Rothbury village, overlooking the old Market Place with the Armstrong Cross at it's centre, so you can explore the village and shops on foot and enjoy a quiet stroll along the River Coquet.